Do you want to work as a Medical Scribe? 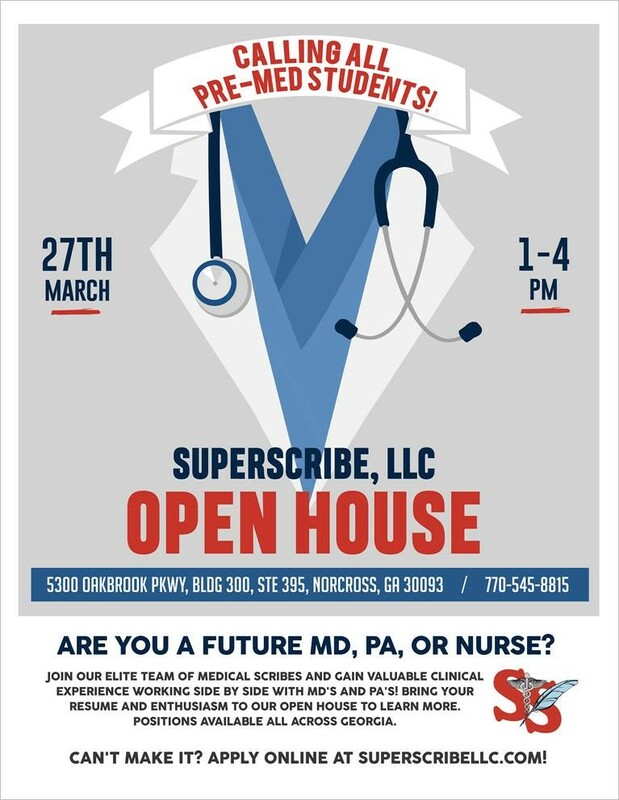 Grab a few copies of your resume and attend our Open House on 3/27 to get the process started! Click on the flyer below to learn more. Can’t attend? No problem; apply through the link at the bottom of this page. 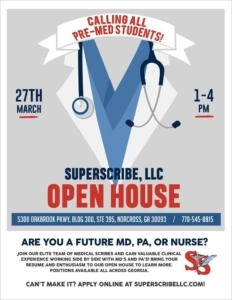 SuperScribe always accepts resumes for future positions! Apply now to start the screening process! To apply for an Emergency Department or Clinic Scribe position please review the requirements below and submit your resume and cover letter via the Current Openings link. If you were referred to us by a specific individual or are requesting placement at a specific facility please include that information in your cover letter. Please note: Emergency Departments are open 24/7, 365 days a year. Nights, weekends, and holidays all need coverage and will be required from Scribes. Please do not apply if you will be unwilling to work some holidays throughout the year. Copyright ©2019 SuperScribe, LLC. All Rights Reserved.